Here is a quick tutorial to fight a bad air quality issue affecting our state. This however can not only help with bad air quality, but also can help you improve the air quality in you home. 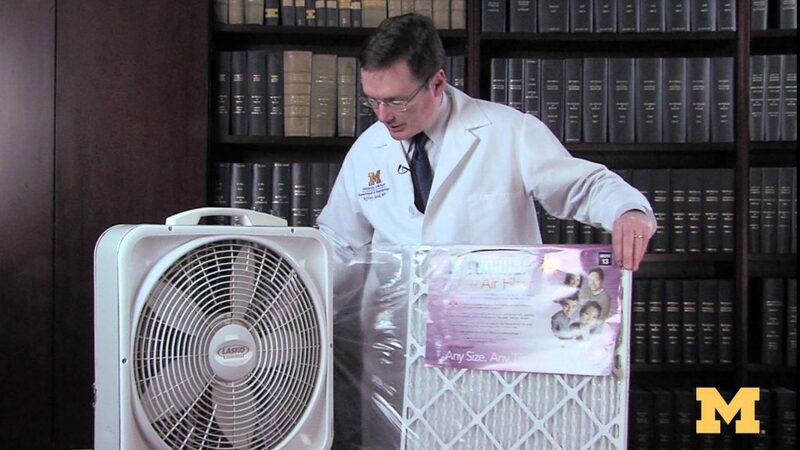 A home made air filter can be made using a box fan, and an air filter for a furnace. Basically you put the filer behind the box fan, making sure the arrow in the filter is pointing towards the fan. When you power on the box fan it will draw air through the filter, filtering it. This will keep your in home air clean.